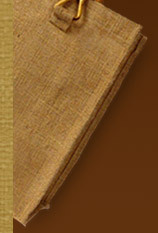 Jute is one of the highly popular natural fibre that people sometimes consider it as golden fibre. Basically, Jute comes from the bark of the jute plant that is cultivated in South Asia. Since decades, this natural fiber has been used extensively for the manufacturing of ropes, cordage for sea vessels and varied other materials that need strength and strong structure. Due to its high durability, sturdy structure and cheap prices, this comes on the number second in cultivation in India after cotton. In addition to India, varied other countries like Bangladesh, China and Thailand are also reckoned as the leading producers of Jute. Jute is found in the two types that are white jute and dark jute. They are grown mostly in the parts of Asian Region as well as Brazil. White Jute is always high in demand in the market used for manufacturing a number of useful and beautiful products. Originally, it was used to design sacking bags and jute handbags, but today its usage scope is expanded to carpet making and packaging as well. White Jute is classified into 8 grades (ranging from W-1 to W-8) on the basis of varied visual characteristics that include color, length, root characteristics, place of origin, quality, strength, amount of bulkiness, defects and so on. With its strong, colored and lustrous fibres, it has been used in the domain of traditional products. Different type of attractive Hessian cloth, carpet backing, sacks, and varied other floor covering materials are designed from this amazing type of white jute. Besides this, white jute is also huge in demand in other sectors like geo-textiles, composites, paper pulp, decorative materials, etc. It is also used in the development of packaging material for storage and transportation of food grains. Hessian cloth and other food grade bags to pack cereals, sugar, etc. 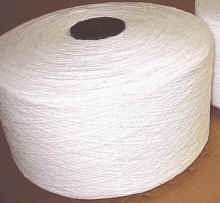 are developed by this highly useful and value added white jute fiber.